Barcelona has ended weeks of speculation by publicly confirming for the first time that their 25-year-old striker, Brazilian Neymar is lon his way to Paris Saint Germain after a four years at the Camp Nou . “Neymar Jr, accompanied by his father and representative, communicated to FC Barcelona this morning his decision to leave the club,” Barca said in a statement. It means the talented player could be presented as a player of the French top club as early as this weekend for a world record fee of 222 million euro. Paul Pogba of Manchester United last year was the record at $111million. Wagner Ribeiro, an advisor to the player, claimed PSG would pay Barca, the money, an equivalent of $260 million in the “coming hours”. Neymar has been tempted to Paris by an astronomical offer that would reportedly see his wages tripled to 30 million euros a year after tax. However, on the field he also faces the challenge of stepping out of the shadow of five-time World Player of the Year Lionel Messi to try and prove himself as the world’s best. “It was a huge pleasure having shared all those years with you, my friend @neymarjr,” Messi posted on Instagram alongside a montage displaying some of the pair’s finest moments together. “I wish you lots of luck in this new stage in your life. See you soon tkm,” he added. “Tkm” stands for “te quiero mucho” (I love you loads). Neymar has also been given permission to stay away from training until the deal is complete after making a brief appearance at Barca’s training ground on Wednesday morning to say goodbye to his teammates. Presuming both clubs don’t come to a late agreement, the buyout clause would have to be paid to Barcelona via Spain’s La Liga to free the player from the contract he signed last year and runs until 2021. However, La Liga president Javier Tebas has threatened not to accept PSG’s money over what he perceives as a failure on the French side’s part to comply with UEFA’s financial fair play rules (FFP). Clubs can be sanctioned by UEFA for making a loss of more than 30 million euros over a three-year period. Winning the Champions League for a first time is the dream driving PSG’s owners Oryx Qatar Sports Investments (QSI) to fund a deal that could herald the start of a new era at the elite level of European football. Since QSI’s takeover in 2011, PSG have failed to make it beyond the quarter-final stage in recent seasons – most notably blowing a 4-0 first leg lead to lose 6-1 to a Neymar-inspired Barcelona in the last 16 of last season’s competition in March. Prising Neymar from the grip of Barca would truly announce PSG’s presence as a contender for the likes of Barca, Real Madrid and Bayern Munich to fear. Neymar has formed one of the deadliest strike partnerships in football history with Messi and Luis Suarez over the past three seasons. Together they have won two La Liga titles, a Champions League and three Spanish Cups, whilst Neymar has scored 105 goals and provided 80 assists in just 186 games. 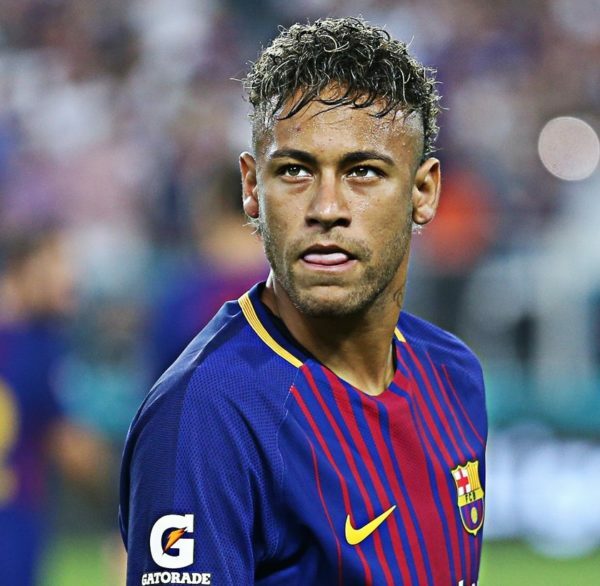 However, Neymar’s four-year spell in Spain has also been overshadowed by the murky transfer deal which brought him to Barcelona from Santos in 2013. He and his parents as well as Barca president Josep Maria Bartomeu face charges of fraud and corruption in an ongoing case brought by DIS, a Brazilian investment company. DIS owned 40 percent of the players’ rights at the time of the deal and believe they were deliberately cheated out of their real share due to the complex structure of the transfer.